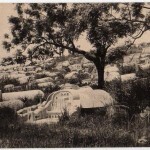 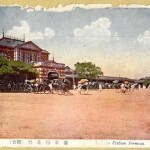 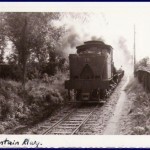 Photographs in this historical archive are from Taipics.com. 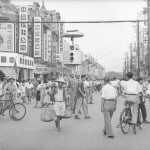 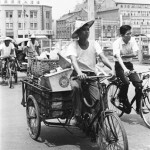 Cyclists in Traffic in Taiwan, 1950s. 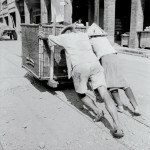 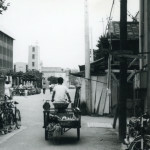 Taiwanese Workers Pushing Cart in Street. 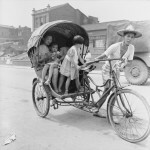 Pedicab Operator and Passengers in 1950s Taiwan. 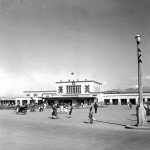 Railroad Station in Taipei, Taiwan. 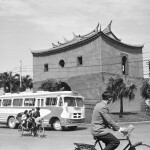 Bus on a Street in Taiwan, 1950s.